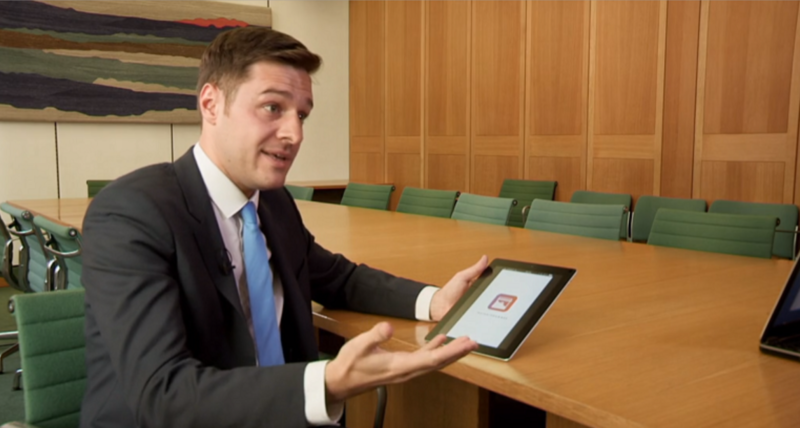 Ross Thomson MP was tricked by the television show into thinking the fake drug delivery app was real. An Aberdeen MP has been tricked by an “underhanded” television crew into believing a fake drug app exists that supports fictional children working in a Colombian cartel’s “cocaine factory”. 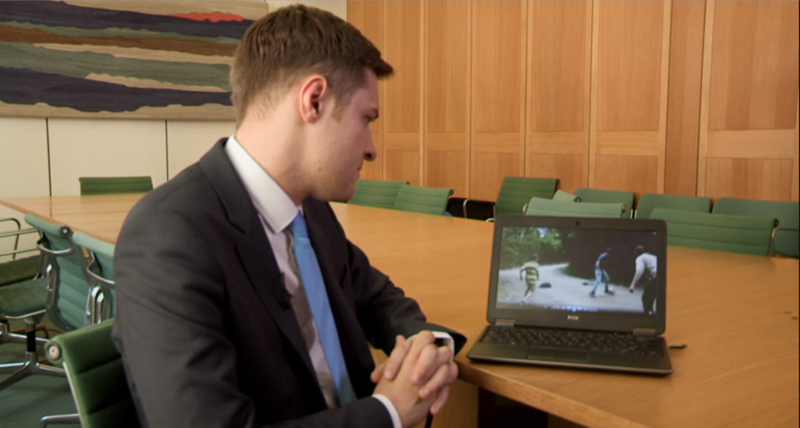 Scottish Conservative MP for Aberdeen South Ross Thomson appeared at the end of an episode of the spoof Channel Four programme Ministry of Justice, a satirical comedy show that aims to hoodwink famous figures into supporting ludicrous causes. 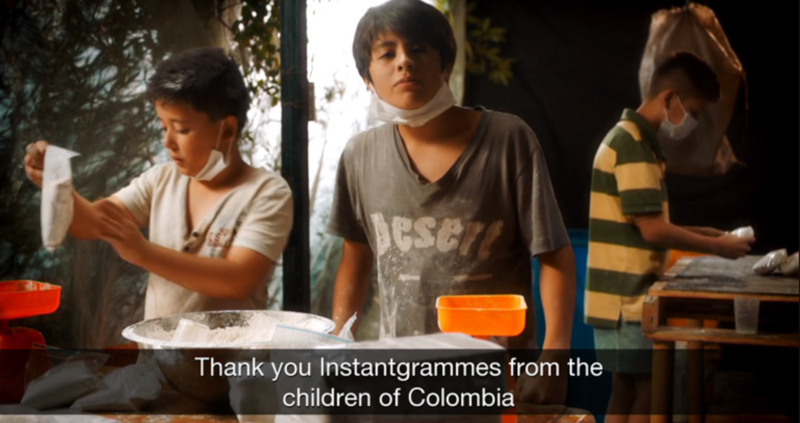 In the first episode of the new series, Mr Thomson was conned into believing a new smartphone app called “InstantGrammes” exists that helps to deliver illegal drugs –and supports children working for drug plantations in South America. The producers of the show designed the fake app, which is purported to help children producing cocaine by giving them an education, to look as real as possible. They sought endorsements from a number of familiar faces – though most, if not all, saw through the deceit. 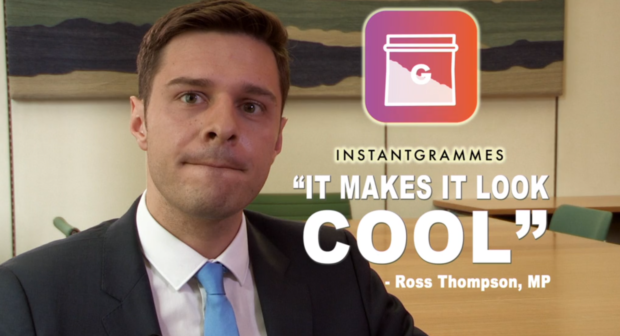 While Mr Thomson declined to endorse the app, he did not question whether or not it was real and gave the show’s creators a final pay-off by suggesting the app made the act of ordering drugs “look cool”. Aberdeen North SNP MP Kirsty Blackman said the hoax was a “blindingly obvious prank” and an “astonishing display of poor judgement”, but Mr Thomson said the programme took a “pretty underhanded” approach to a “very serious issue”. As well as Mr Thomson, the programme also succeeded in tricking Ian Duncan Smith, the former leader of the Conservative party, into thinking the drug delivery app actually existed. Mr Thomson was shown a video of a child who lives at a “half school, half drug plantation” in Colombia which receives assistance from InstantGrammes. In the fake video presentation, a child actor said the project is “fair trade”, when not making cocaine, he is able to work towards his dream of being a dentist. At the conclusion of the false advert, a disclaimer warns that any trespassers to the facility, which is run and owned in part by a cartel, would be shot on sight. The Aberdeen South MP then tells the film crew: “Watching that video made my skin crawl. “You’ve got these young kids in Colombia being exploited to say that somehow ‘actually drugs are making my life a lot better’ – of course it’s not. “These kids were probably made to do that, that’s absolutely not the case. Mr Thomson said last night: “These people presented themselves as a legitimate production company. “Along with other parliamentary colleagues, I took what they said at face value. The non-existent app was made by the television show. 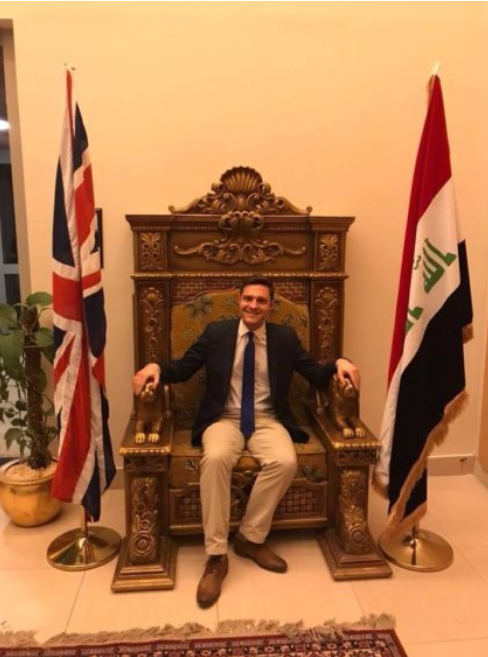 Mr Thomson previously courted controversy with a smiling photograph of himself on the throne of Iraq’s former dictator Saddam Hussein, where he joked about channelling his “inner dictator”. On the same trip to Iraq, Mr Thomson also posed with the Swords of Qadisiyah monument, a large arch erected by Hussein. Earlier this year in an episode of Question Time, Mr Thomson also said it was quicker to use an online app to order cocaine to your house than a pizza if you are in Glasgow. Ms Blackman said: “This is an astonishing display of poor judgement, even by Ross Thomson’s standards. “I take the issues of drug abuse and addiction incredibly seriously and it is vital that MPs educate themselves on facts presented by reputable organisations. 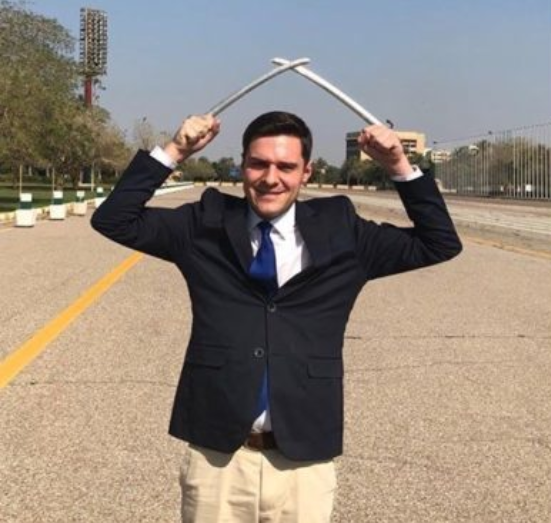 “The fact Ross Thomson fell for this blindingly obvious prank might go some way to explain his ill-informed claims over drugs made during a recent Question Time appearance.